The seismic shift in the way we work has made the last decade feel as though many businesses are finally focussed on their most important asset – their people. Allowing the workforce to play a role in dictating how, where and when we work demonstrates the true value that leaders are placing on their staff. Endless research has shown that a happy workforce breeds increased productivity and companies worldwide are taking note. Businesses are constantly striving to enhance working environments with unique experiences – a telling and effective tribute to this trend. Many companies have turned to art and design to connect their people and customers to their story or brand and to inspire creativity. A study conducted by The Harvard Journal of Workplace Learning shows that employees believe art promotes social interactions, elicits emotional responses, facilitates personal connection-making, generally enhances the workplace environment and fosters learning. It also tells us that art which directly relates to the organization’s mission, and diverse art collections generate deeper engagement for employees and customers. Digital art is a key component in this shift and Niio is at its cusp. As art advances beyond the white walls of galleries and museums into commercial, private and public spaces, Niio is harnessing this trend through collaborations with cutting-edge designers, venues and artists. Galvanized by the idea that moving images can change in real-time and are often influenced by current events or incoming data, Niio has collaborated with artist Refik Anadol to power his groundbreaking work. Anadol’s coded piece of art changes based on real-time wind patterns in Linz, turning a screen into an ever-changing living artwork, lauded by critics and art-lovers. Anadol and Niio’s partnership demonstrates the potential of digital art to incorporate interactive works and kinetic and rotating exhibitions, creating engaging spaces throughout time. The possibilities are endless. 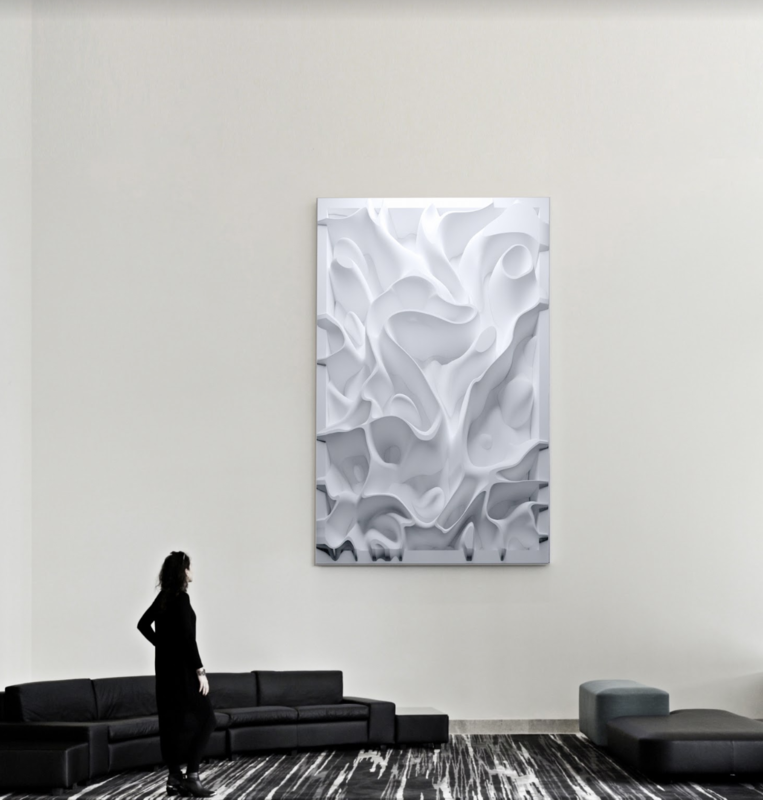 Meet in Place, another of Niio’s partners, is a meeting room focused start-up, bringing curated rotating collections of fine digital art to high-end meeting space locations in New York, London and Tel Aviv, powered by Niio. The digital age is well and truly here. Screens are everywhere – on office walls, building facades and in open public spaces. With all this digital noise comes a unique opportunity for artists to take their work beyond its traditional realms by turning screens into a memorable and magical experience – at home, in places of leisure and at work. Niio is helping artists make the magic happen. Committed to enabling seamless access to the world’s finest gallery quality video and interactive media art, screened on digital canvases across the world, Niio transforms and enhances workplaces to create engaging and inspiring environments. The team at Niio collaborates with designers, bringing them together with the best fine digital art in the world and helping them deliver and display their work. With a network of over 1,500 artists, curators and galleries and a portfolio of over 9,000 premium artworks on our platform, Niio is a game-changer in an evolving realm.